Anglo-American Publications out of Toronto is half-tied for issuing the first WECA comic book with its first issue of Robin Hood and Company Comics coming out in the same month as Maple Leaf Publications’ Better Comics No. 1, March 1941. I say “half-tied” because Robin Hood and Co. Comics No. 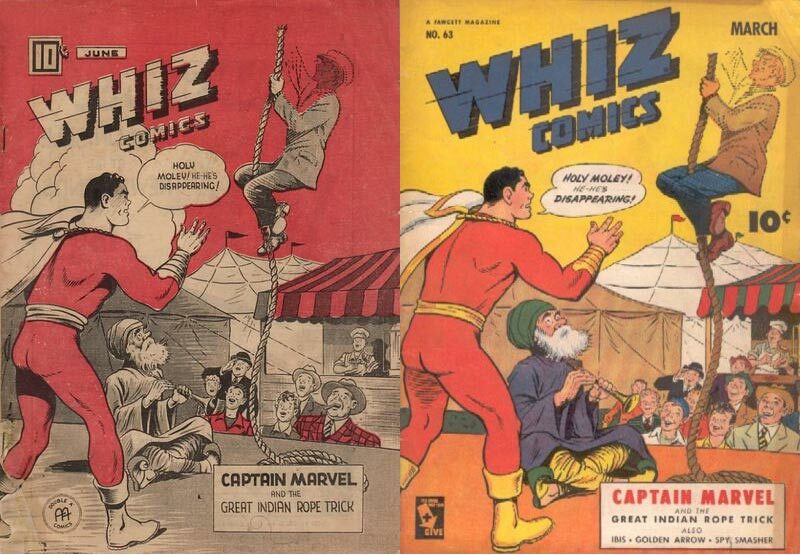 1 wasn’t really a conventional comic book as we’ve come to know them. 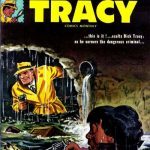 It was put out in tabloid size, newsprint form with no glossy cover and was comprised of a collection of Ted McCall’s Robin Hood and Co. dailies from the Toronto Evening Telegram. In the summer of that year Anglo-American put out Freelance Comics No. 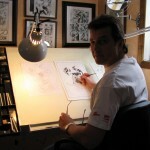 1 (July/August) and then just after that Grand Slam Comics No. 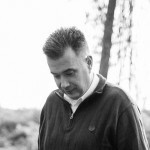 1 (Sept./Oct.) and then Three Aces Comics No. 1 (Nov./Dec. 1941). 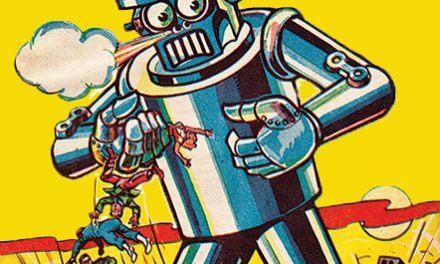 This rounded off that first year for Anglo-American with all original Canadian material and characters such as Freelance, The Crusaders, Pat the Air Cadet, and Don Shield. 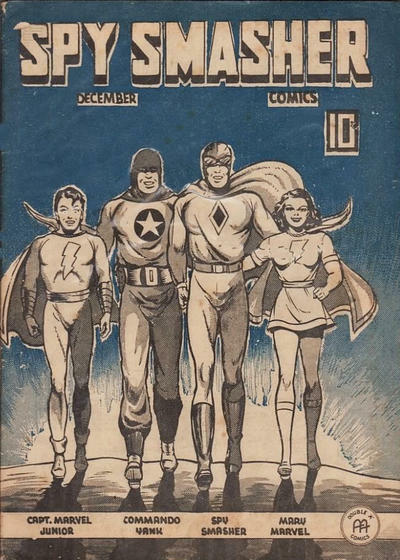 At this point, however, Anglo-American decided to veer off this Canadian path and contract with Fawcett in the States, not to reprint their superhero stories, but to use their scripts for redraws. Of course, government acts prevented them from reprinting American comics outright (reprints weren’t really legalized until the war was over) in Canada, but not from drawing their own versions of the Fawcett scripted stories. 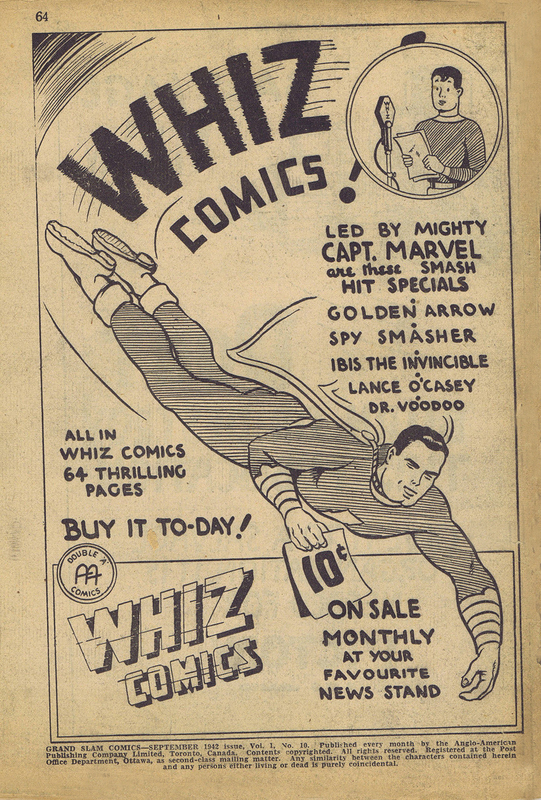 One of the big cheeses in all of comics at the time was The Big Red Cheese himself and Anglo-American must have seen this as an opportunity to use an established icon (American Whiz Comics would have had about a dozen issues out in Canada before the ban started early in 1941) that could certainly help to sell more copies. Anglo-American publications decided to enter into an agreement with Fawcett in the States to acquire their published scripts and then be allowed to redraw them for publication in Canada. This began with Captain Marvel Comics No. 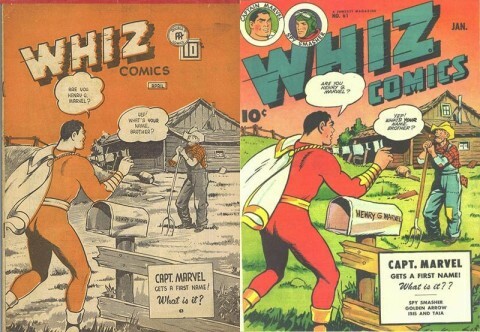 1 and Whiz Comics No. 1 both which came out in January, 1942. So no C. C. Beck, but the scripts were the same. 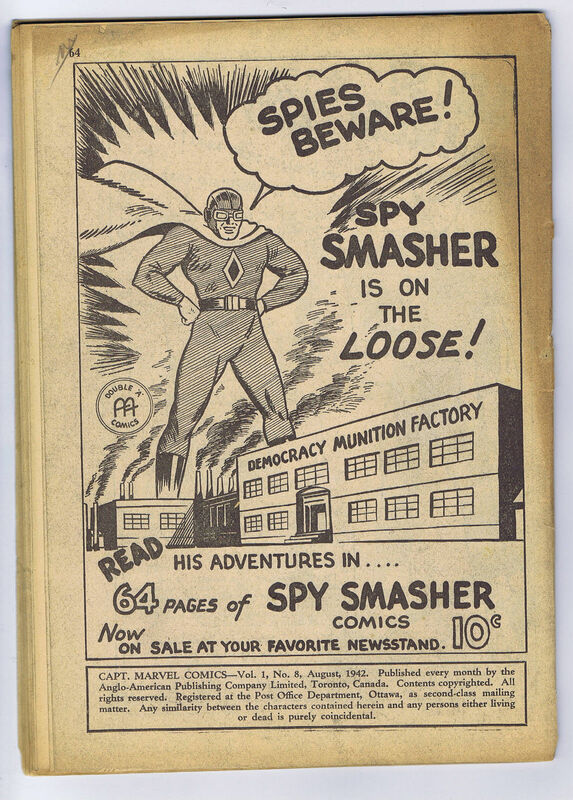 By the summer this expanded with the release of Spy Smasher No. 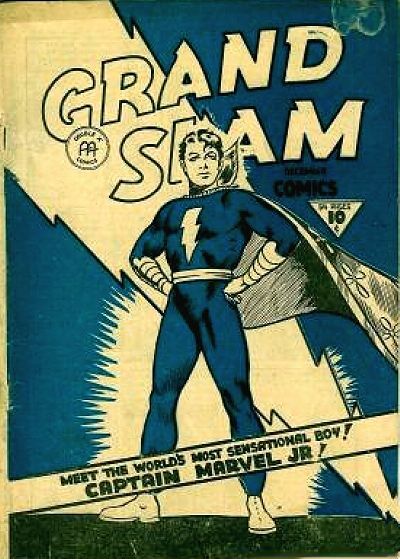 1 (June, 1942) and then at the end of the year Grand Slam Comics Vol. 2 No. 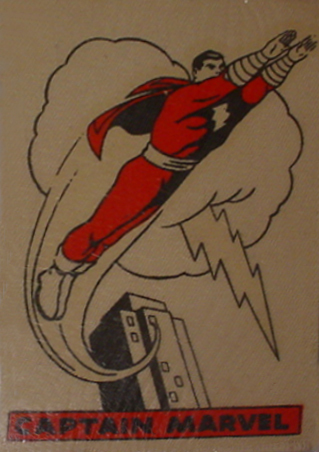 1 (Dec. 1942) became the vehicle for Captain Marvel Junior stories. Finally, the next month, in Three Aces Comics Vol. 1 No. 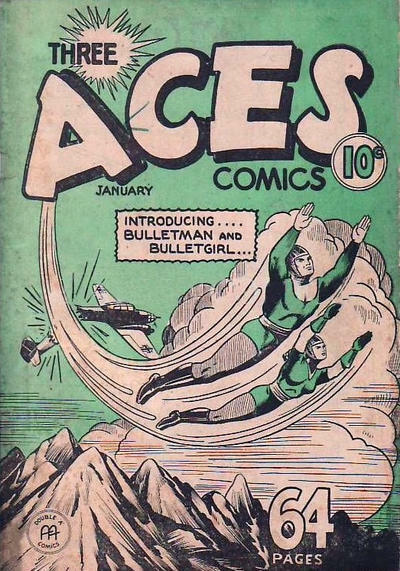 12 (January 1943) Bulletman and Bulletgirl became the lead and cover feature. 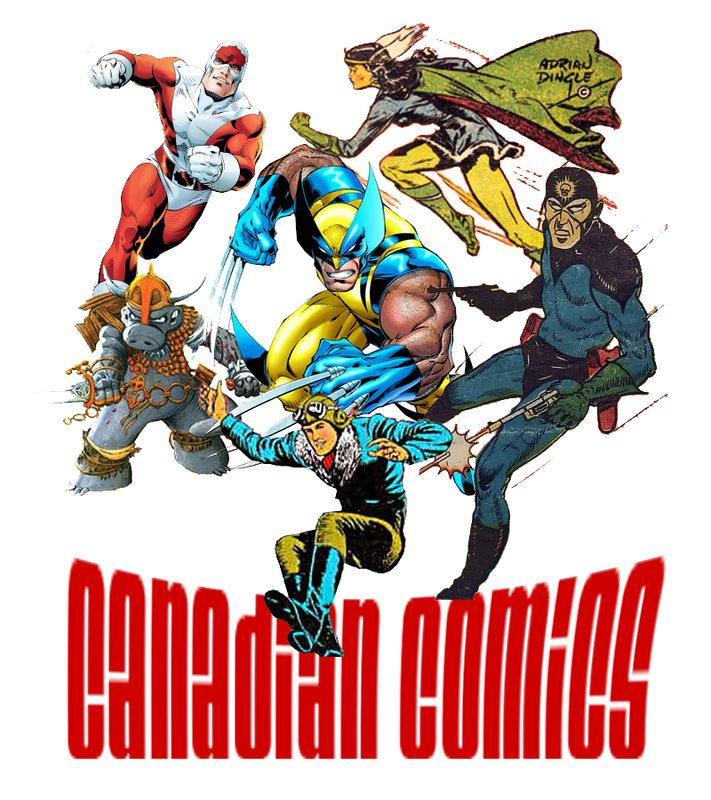 Though many might see this as some sort of sell out when all the other companies were producing their own original Canadian material and when Anglo-American already had a solid stable of homegrown characters, it was probably a shrewd business move enabling the company to put out proven characters and successful stories to a captive audience thirsty for superhero fantasy… it must have helped sales. For Fawcett collectors, especially those south of the border, these Canadian drawn Fawcett stories which lasted the bulk of the WECA period… up till 1945, must represent a previously hidden extra-dimensional new universe of Fawcett characters that had the same adventures that their American counterparts had, but were just a little bit different. The art and vision of the Canadian illustrators (or own Harold Town among them) make these presentations worthwhile and, not uncommonly, the layout and art can be seen as an improvement on what was released in the states (see my very first post). 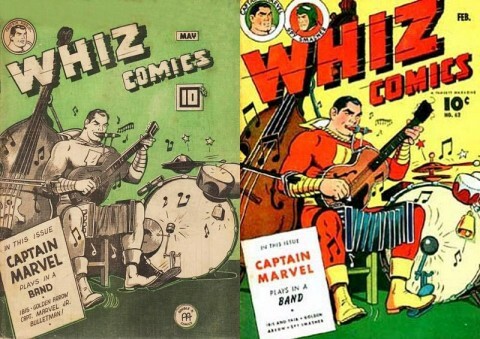 It certainly was not a “Bizarro” version of the existing Fawcett universe. 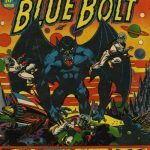 Along with the two leads, The Big Red Cheese and Spy Smasher, the rest of the Marvel family was here as well as Ibis The Invincible, Golden Arrow, Lance O’Casey and Dr. Voodoo. 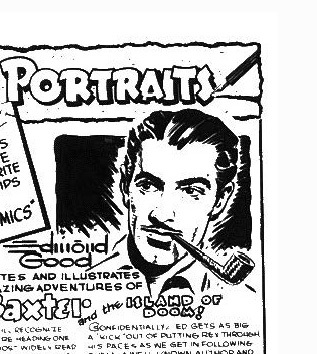 Anglo-American even put out its own versions of four of the Mighty Midget comics in 1943. However though the stories themselves were completely redrawn, the Anglo-American covers often seemed to follow the original Fawcett covers pretty closely. 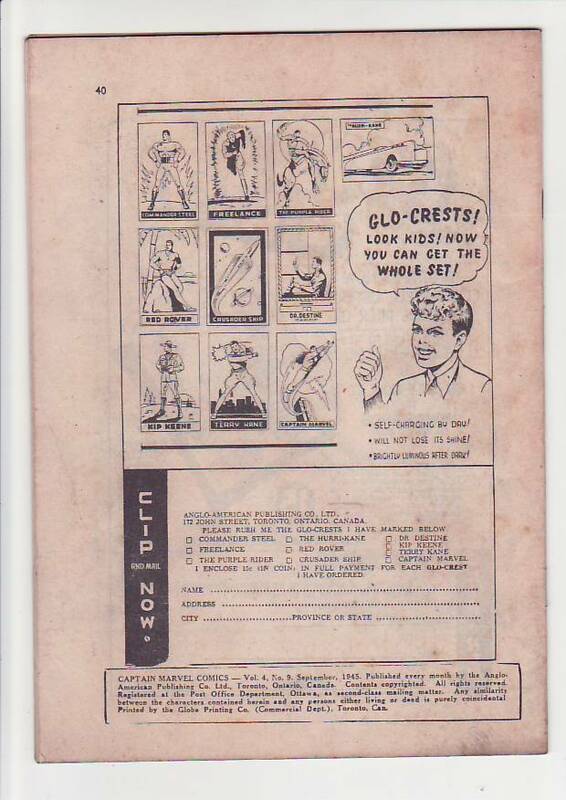 Anglo-American even issued a Captain Marvel Glo-Crest, apparently the only American character in the series. In collecting terms, these Anglo-American Fawcett redraws seem to fetch significantly less money on the market compared to glossy covered books from the other three WECA publishers. 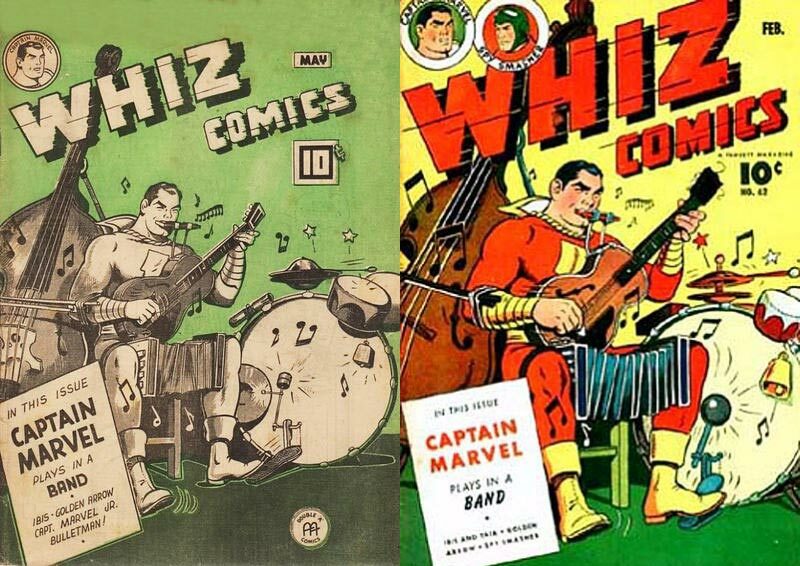 However, this may change once American Fawcett collectors become more aware of this hidden, out-of-phase, Canadian world of Captain Marvel and his posse. Look at what happened to the value of the Canadian 125 pg. 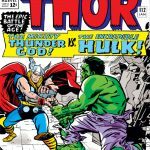 Captain America and Marvel Mystery Giants which American Golden Age Marvel collectors have made the most expensive WECA books published. To a lesser extent, the same can be said of the MLJ Canadian reprints that appear in issues of Super Comics, which are just about totally reprint material whose value has been spurred on by American MLJ and Archie collectors. 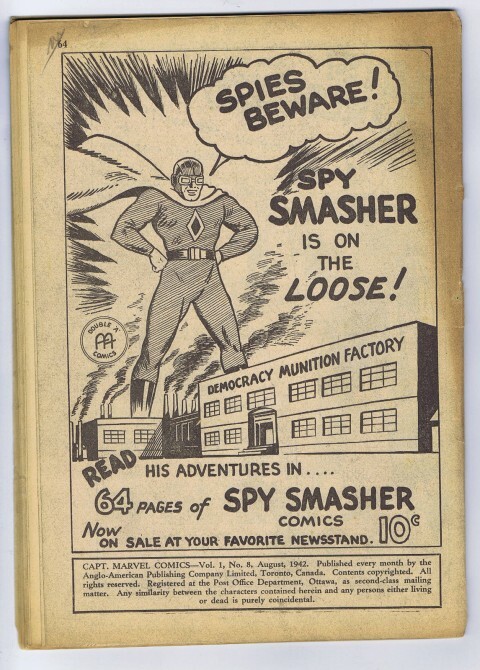 Though we might see some of the original Canadian Anglo-American material such as Freelance, Commander Steele, and the Crusaders gathered together and reprinted in the manner of this year’s Nelvana collection, I doubt we’ll ever see a reprinted collection of the Captain Marvel or Spy Smasher redraws, though then again, I may be wrong and, as we come to know this material better, strange things may happen. Those Fawcett redraws proved to be quite controversial with the stable of Anglo-American artists. Apparently Fawcett insisted that the redraws had pasted on Fawcett heads, most notably Mac Raboy’s Captain Marvel Junior. 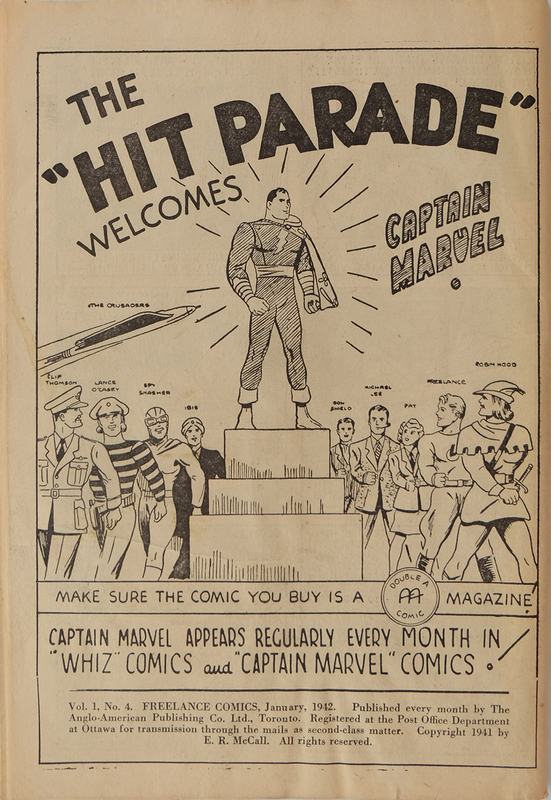 Harold Town once famously did a cover with Captain Marvel Junior’s back turned towards the audience with a Raboy head in a little circle off to one side. Only one of the ways he managed to get around the practice. 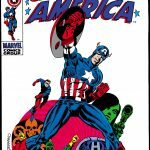 You’re right that it is only a matter of time, now that they have discovered the Canadian Captain America reprint, before American collectors realize that these Anglo-American redraws are a very rare example of their favourite Fawcett characters. They are already clamouring after the F.E. 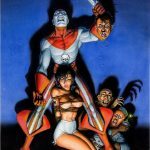 Howard reprints of their favourite MLJ characters. Your point is a good one, Mel. 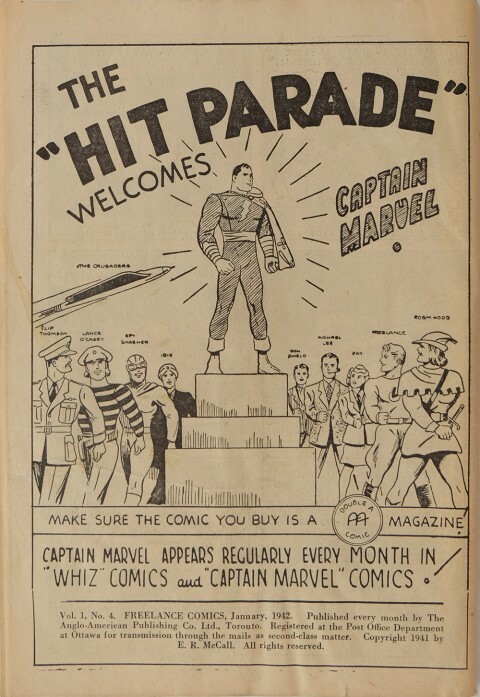 The Fawcett people were so scared that the Anglo-American artists wouldn’t do justice to their prized characters and might even harm their “brand,” so they did send up stats with profiles and heads for characters like Captain Marvel Jr. (probably done by Raboy himself) so that they could be sliced out of the page and pasted on torsos positioned and created by the Anglo-American bull pen. 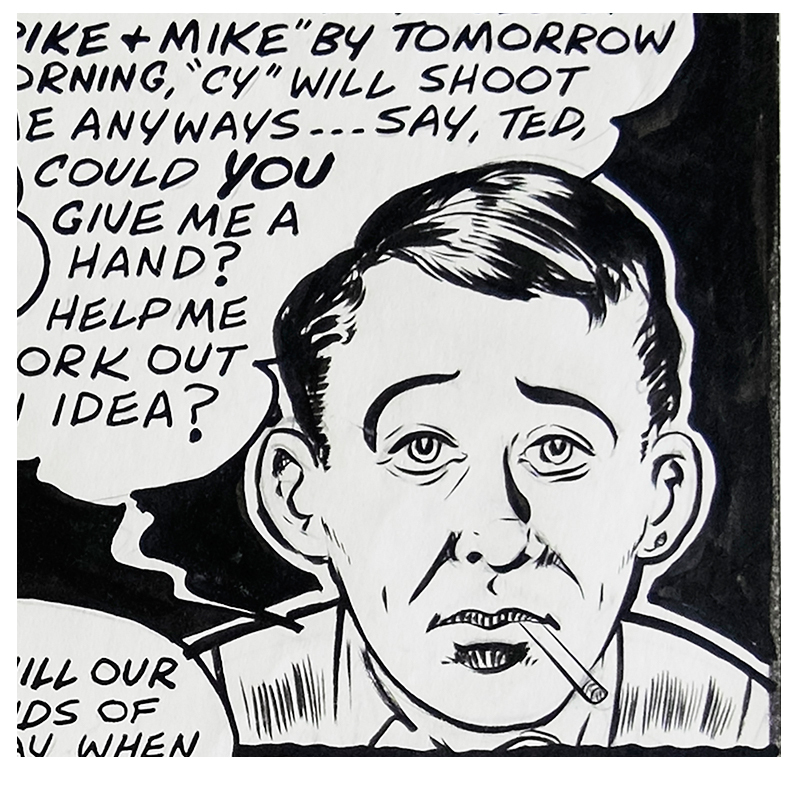 This results in many panels where you can see that the head doesn’t precisely match the position and tilt of the figure. I can believe that many of the Canadian artists took direct offence at this. Ironically, as I said, many of the Canadian layouts and representations of the scripts resulted in final pages of much better quality than the Fawcett originals. 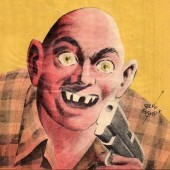 On your second point, these “AA” books are on the low tier of collectibility for most Canadian collectors because of the poorer paper quality, two-tone covers and nearly non-original material in the Fawcett redraws, but if American Fawcett collectors finally realize what they are and truly become aware of them, their value is sure to go up.